Both Agent for ESX(i) (Windows) and Agent for ESX/ESXi (Virtual Appliance) allow to omit additional network traffic by using LAN-free backup. 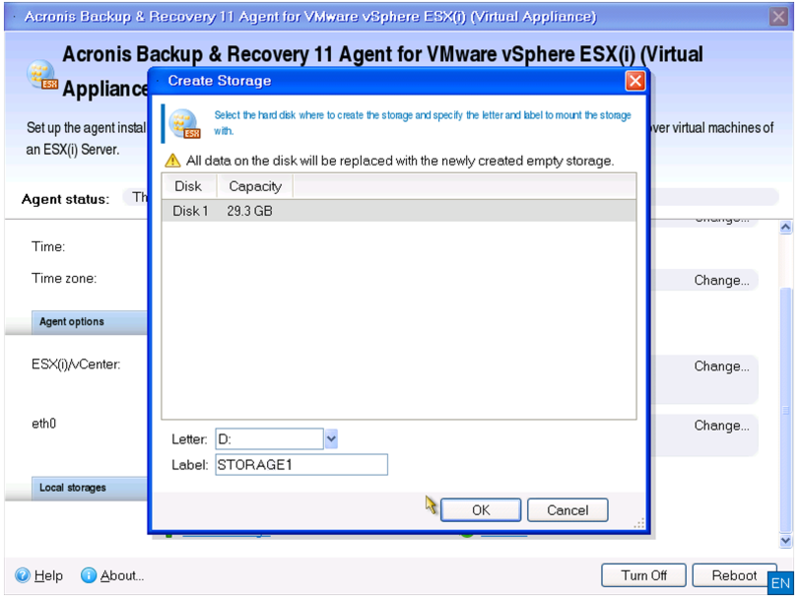 In Acronis Backup & Recovery 11, Agent for ESX(i) (Windows) allows you to back up and recover virtual machines hosted on a VMware ESX(i) server without installing agent (Virtual Appliance) on ESX(i) server itself. 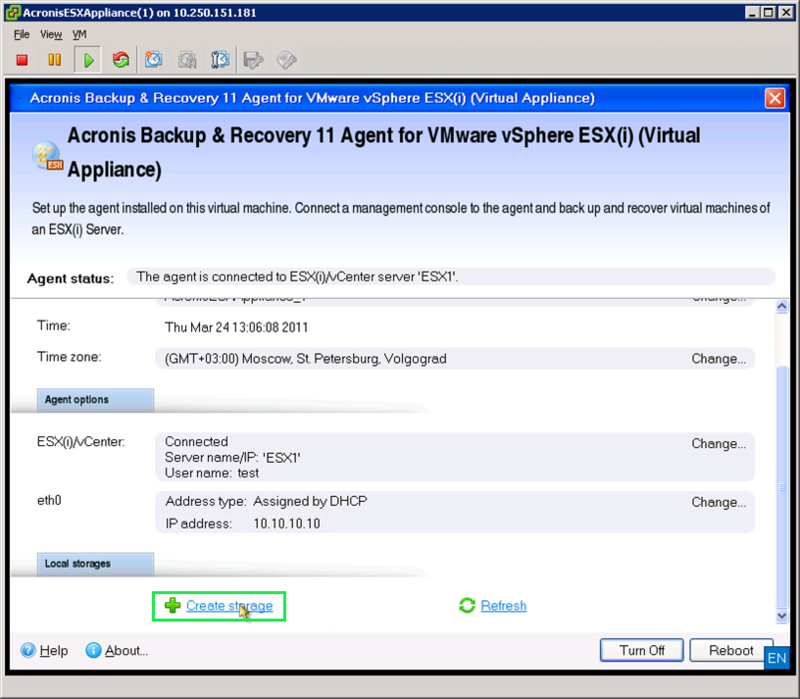 If Acronis Backup & Recovery 11 Virtual Appliance is installed on ESX(i) Server, and backups are saved on a network share on a Windows machine, this generates additional network traffic. 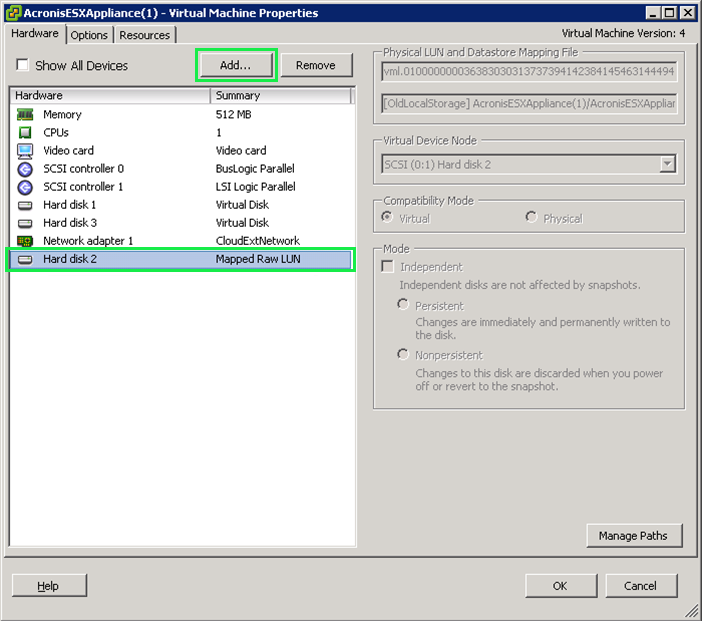 You can omit this if your ESX(i) uses a SAN attached storage as a data store for Virtual Machines: install Agent for ESX(i) (Windows) on a Windows machine and connect it to the same SAN. In this case the Agent backs up the virtual machines directly from the data store rather than via the ESX(i) server and saves them on locally attached (relative to the Windows machine) disk. Agent obtains the information about virtual machines from ESX(i) host and reads the data directly from the location where virtual disks reside. This scheme decreases the amount of network traffic and offloads ESX(i) server from making backups. 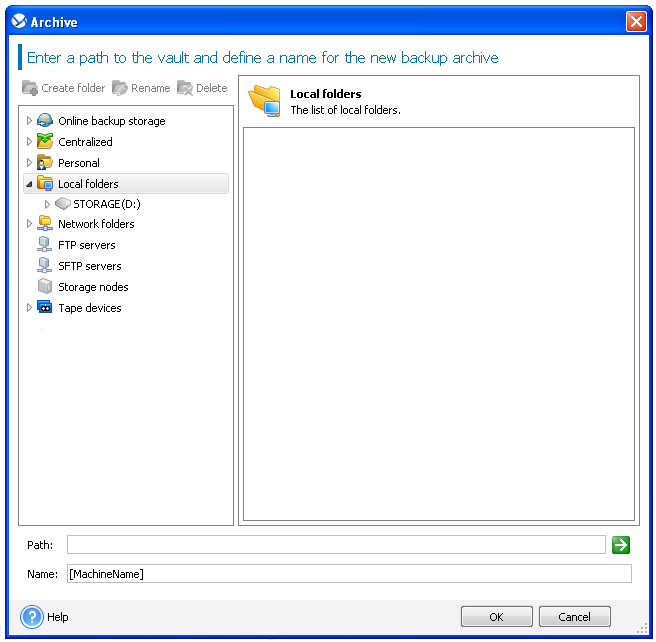 If you use Acronis Agent for ESX/ESXi (Virtual Appliance), you can attach a storage device directly to the appliance and save backups to this storage directly, omitting LAN. (!) Label length is limited to 16 symbols because of file system restriction.